Art tends to imitate life in the latest novel featuring one of the most shambolic and hilarious figures in Australian fiction. Grafton Everest, the protagonist (we can’t say hero) of a string of satires by historian and novelist Ross Fitzgerald is loved and loathed in equal measure. 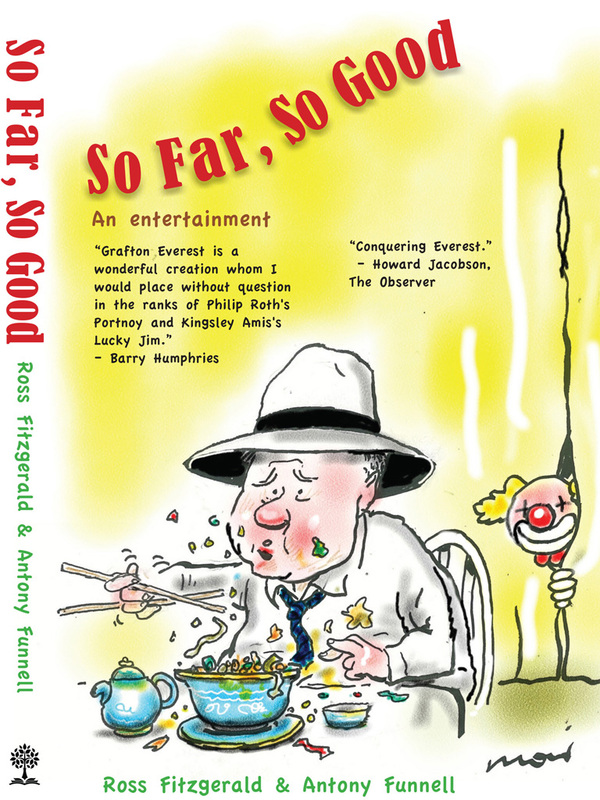 In Fitzgerald’s new book, ‘Going Out Backwards : A Grafton Everest Adventure’, co-written with comedy legend Ian McFayden, Professor Dr Grafton Everest. the bumbling Mangoland academic has been elected to the Australian Senate, without really knowing why and he finds himself reluctantly holding the balance of power. A prostatectomy has left him impotent, his daughter is staging a theatrical event with an outlaw motorcycle gang and he suspects his wife is planning to have him put to sleep. On top of it all Australia is facing natural disaster from Tetconic Change. 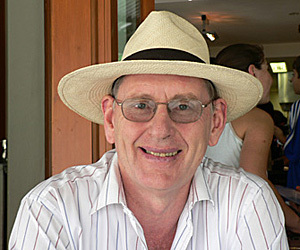 Fitzgerald, an emeritus professor of history and politics at Griffith University – and a long time commentator on Queensland politics – lives in Sydney nowadays, like his character Grafton Everest. What should we read into their shared biographical details? “Grafton Everest is what I would be like if I let myself go, Fitzgerald says. It’s fiction but there’s plenty that we will recognise from reality, often thinly disguised. For example, the newly minted Queensland senator (even though he lives in NSW) is to appear on the ABC show ‘Bathroom Cabinet’ with political journalist Yolanda Yabbie (Annabel Crabb? Get it? ) to discuss health, beauty and what tablet’s he’s taking. Fitzgerald and McFadyen have an awful lot of fun in this fifth Grafton Everest novel. 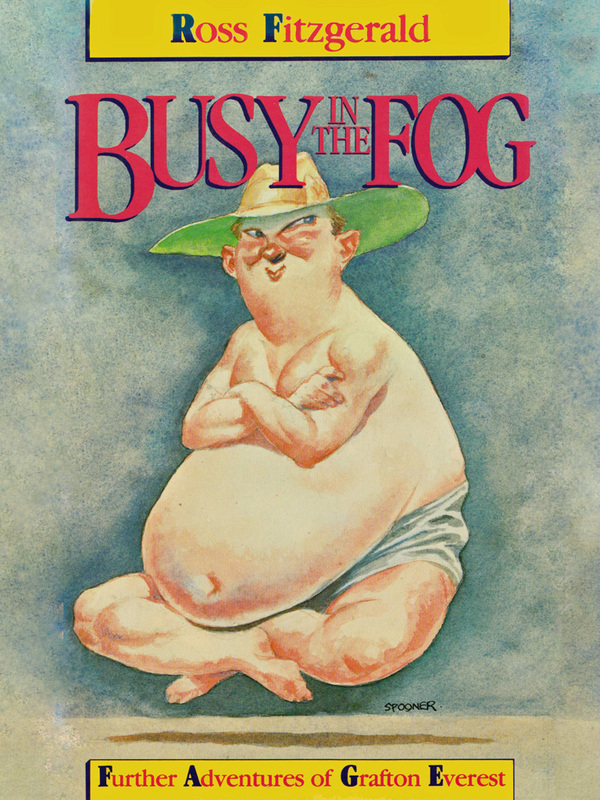 These books are rude, crude and uncalled for as any good satire should be but not everyone always gets the joke. 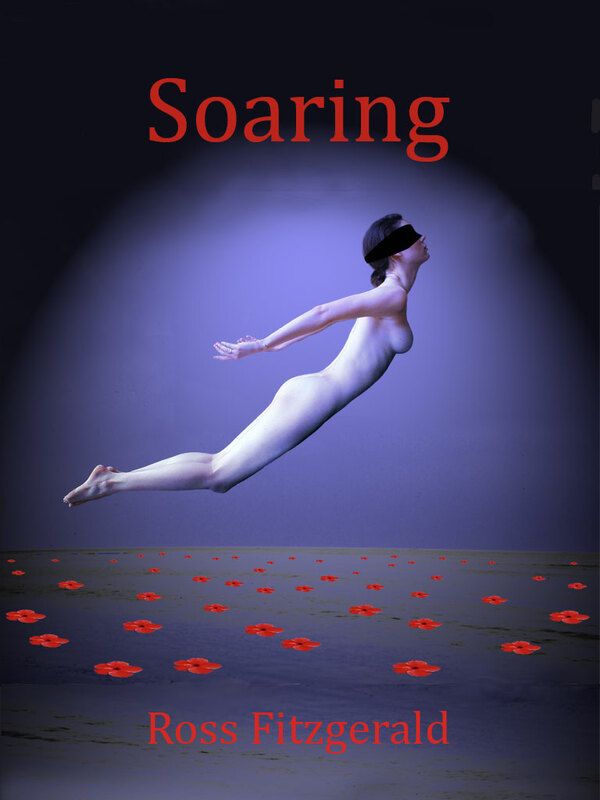 “When the first one, ‘Pushed from the Wings’ was published, one reviewer said — I never laughed once — so we put that on the back cover. Before I mention my own response — a disclaimer: Fitzgerald is a friend and I have signed on to launch his new book. I can reveal I laughed loud and often reading it. So much of it eerily reflects the real state of politics today. As McFadyen points out, you must move quickly. “You only have a small window with satire before it becomes true, McFayden says. “You can write the most outlandish things and within a year it’s reality. McFayden, 57, the comic genius behind The Comedy Company, lives on Brisbane’s bayside. He and Fitzgerald have been friends for some years and McFayden says their collaboration was enjoyable Plus he had some jokes left over from a sitcom pilot about a novice in politics accidentally having the balance of power. Fitzgerald says McFayden brought “intricate plotting to the table a la P.G. Wodehouse. Ross Fitzgerald, history professor and Queensland’s self-appointed cultural attache in Sydney, has had his ego slightly dinted recently. 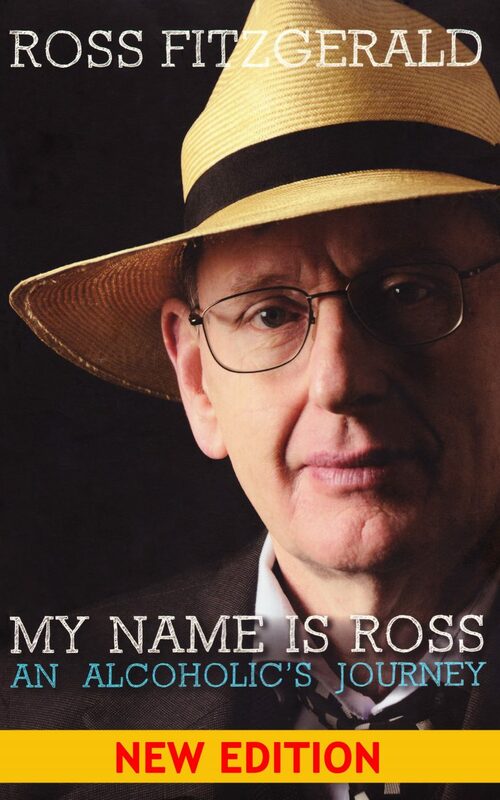 He has just launched his latest comic novel based on the character of a bumbling, impotent academic from “Gangland”. 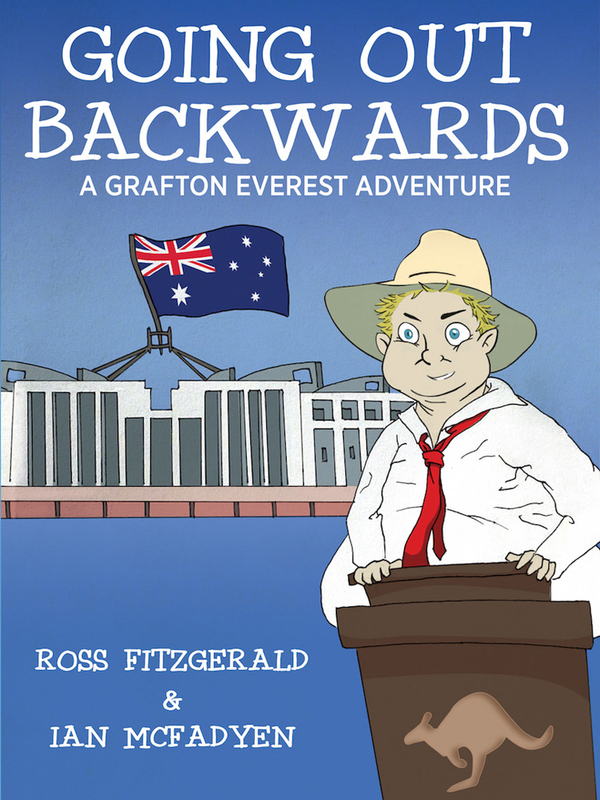 It’s titled ‘Going Out Backwards : A Grafton Everest Adventure’ (Hybrid Publishers) and was co-authored with Ian McFadyen of Comedy Company fame. Remarkably, it’s Fitzgerald’s 38th book. Des Houghton, The Courier-Mail, Saturday October 31, 2015 p37.